Learn How To Leverage Online Conference Content To Engage Members Before, During And After Your Conference. 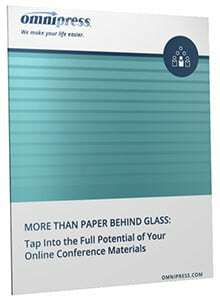 Providing online access to your conference materials is more important now than ever. Attendees expect to access your content from the device of their choice, and associations have discovered the effectiveness of using content to promote their conferences. Build excitement before the conference with content marketing. Involve speakers in promoting your event. Engage attendees using online content during your program sessions. Reinforce the learning that began at your conference.